We searched the world for the most stunning beach wedding venues, check out our fabulous and scenic finds! What could be dreamier than getting married with your toes in the sand, listening to the waves, and feeling the breeze in your hair? Beach wedding venues often have a relaxed ambiance, ideal for lively celebrations that feel like a true vacation. 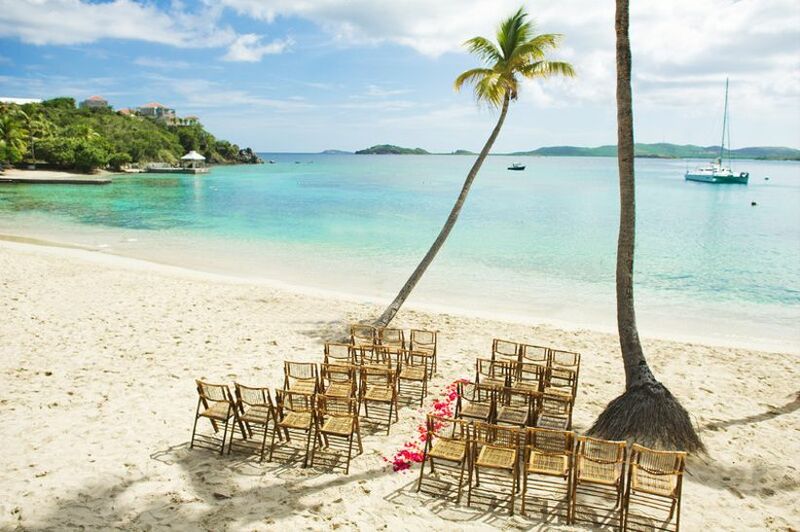 Whether you’re planning a destination wedding or are looking for beach venues closer to home, there are plenty of beach wedding destinations both in the U.S. and abroad. Check out our 20 favorite beach wedding venues to start planning your sand-and-surf celebration! 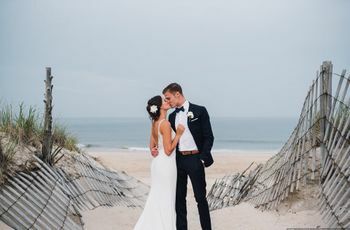 The Outer Banks is a popular East Coast vacation destination, full of breathtaking natural beauty, and an ideal setting for a relaxed beach wedding. 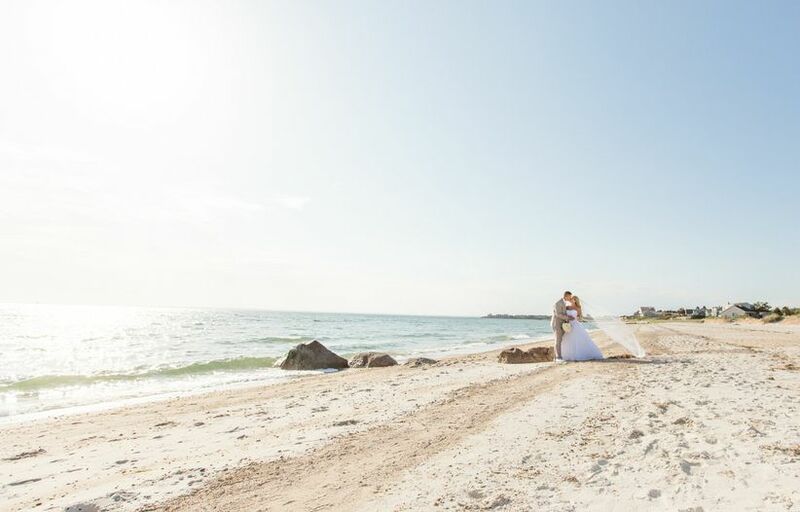 The Sanderling Resort offers private beach access for a sand-between-your-toes ceremony, or if you’d prefer, there’s also an event lawn and deck for ceremonies. The Oceanside Event Deck is also a lovely setting for outdoor receptions, and there’s a light-filled indoor pavilion as well. Smaller venues are also available for rehearsal dinners and other pre-wedding events. 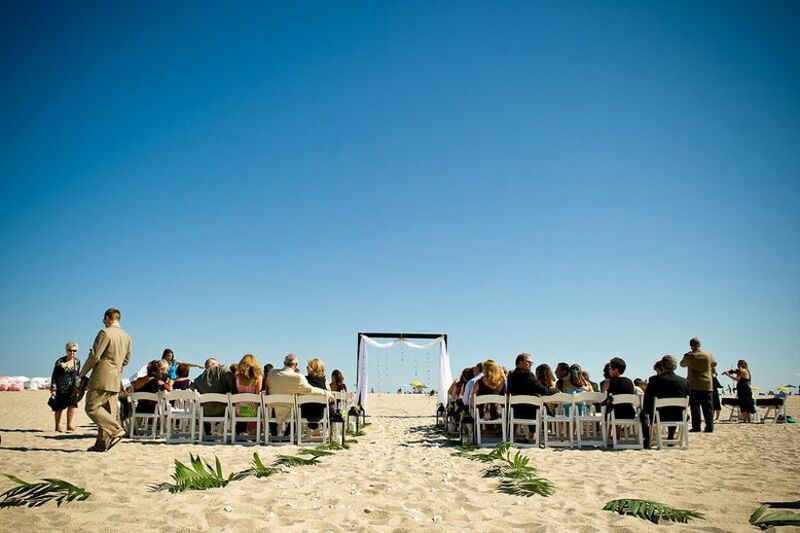 This Central California beach wedding destination can accommodate up to 200 guests for weddings in the sand. 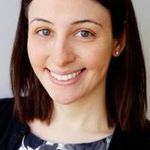 There are several indoor banquet rooms for receptions, and the all-inclusive packages, including catering, DJ, flowers, officiant, rentals, and more, will make planning stress-free. Your guests will also love staying on premises for a destination wedding sans passport! 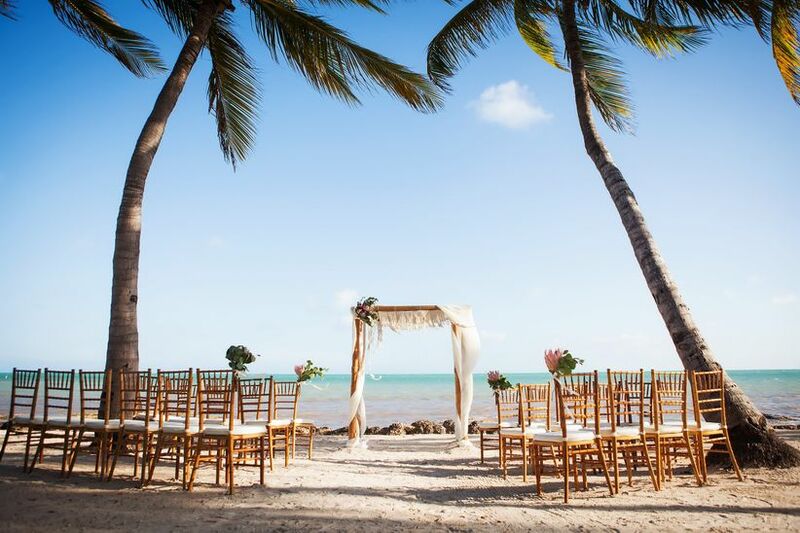 Key West is one of our favorite spots for U.S. destination weddings, and this historic resort is a truly special beach wedding venue. 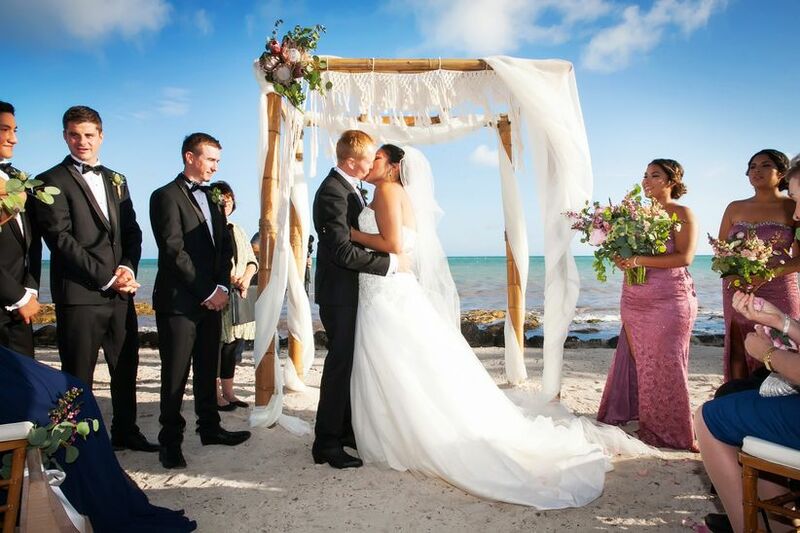 Casa Marina, a multi-year WeddingWire Couples’ Choice Award winner, can host ceremonies on the white-sand beach, and fully-outdoor beach wedding receptions, as well—imagine your guests dining and dancing under the stars! There are several beautiful ballrooms as indoor ceremony and reception options, as well. Puerto Rico is a fabulous beach wedding destination—your guests won’t need to bring their passports, and there are some truly spectacular venues, including this resort in Isabela. 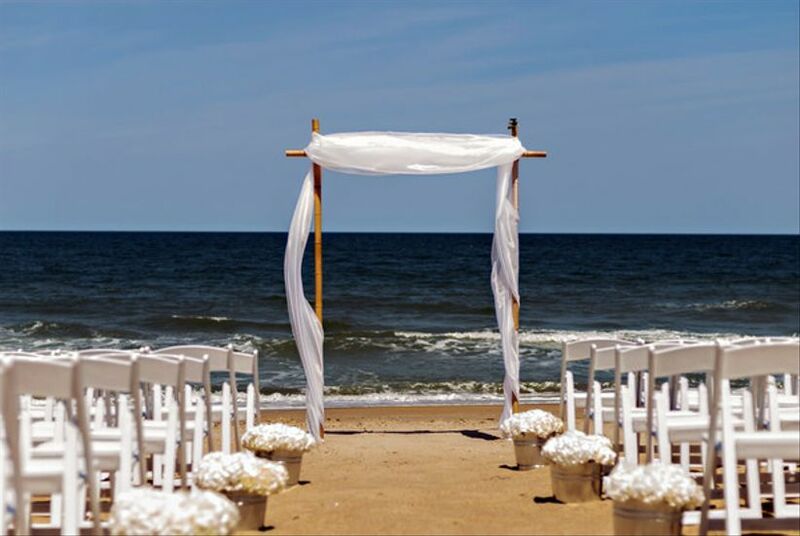 The oceanfront gazebo is the perfect ceremony location, with sound of the ocean as your backdrop. Cocktail hour can be held on the lawn, and receptions take place in one of three locations: Eclipse Restaurant, O Lounge, or the Garden Ballroom. In fact, all of your wedding events can take place on premises, and your loved ones can stay on premises and enjoy all of the onsite activities. This venue can host up to 160 guests for a wedding. 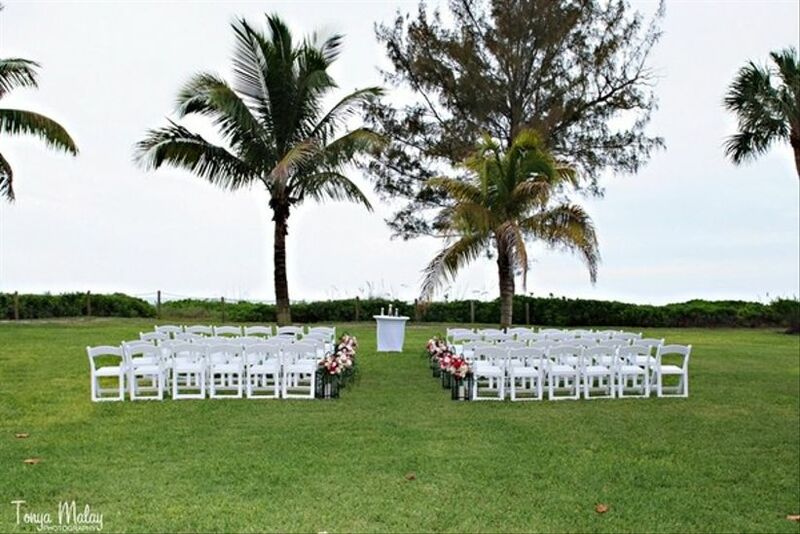 Located in Southwest Florida, this beach wedding venue has 26 acres of property and 21 different event spaces to choose from, including beachfront weddings on the Gulf of Mexico. If you’re hosting a larger wedding, this may be the wedding destination for you — the Hyatt Regency Coconut Point can accommodate up to 1,400 guests. And with several Florida beach wedding packages to choose from, planning will be a total breeze! A beach wedding venue located less than an hour from Washington, DC? Yes, it does exist! 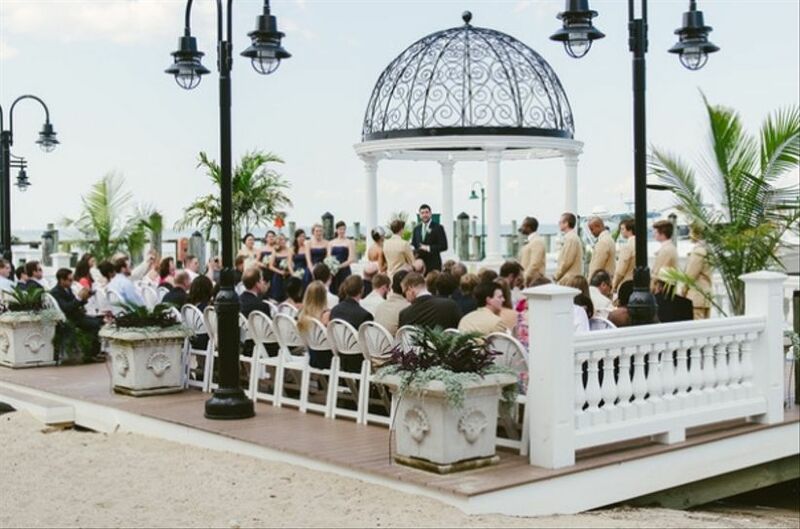 The Chesapeake Beach Resort & Spa has a unique tropical feel, and can host ceremonies on the beach or in the romantic waterside gazebo and receptions in one of two classic ballrooms—the Chesapeake Ballroom for up to 250 guests, and the smaller Bay View Ballroom with space for 100. This all-inclusive venue’s package price includes food and rentals, plus your guests can stay on premises for a fun and convenient wedding weekend. Looking to travel for your beach wedding? Head to St. Thomas and experience the lush natural beauty on the island. The Secret Harbour Beach Resort offers affordable wedding packages, which can include everything from food and rentals, to a celebrant, photography, cake, videography, and more. And with so many direct flights to St. Thomas from the U.S., plus the wide variety of rooms at the resort, your guests will love staying here, too! 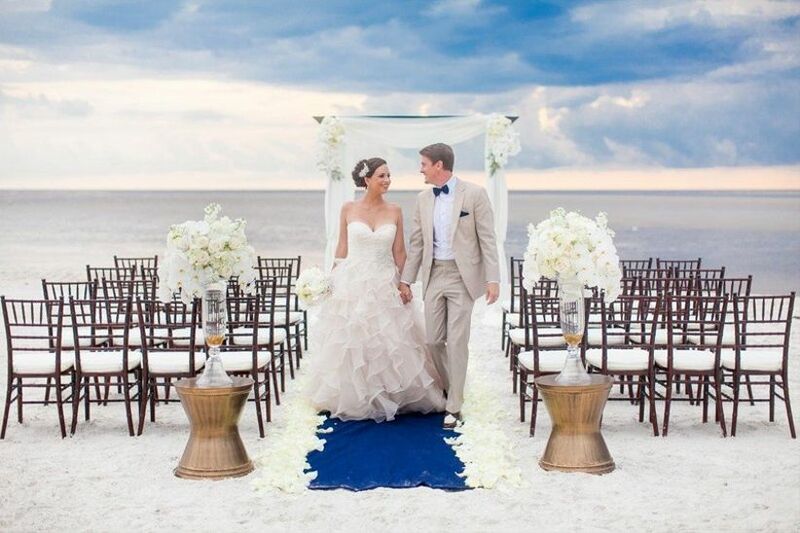 This resort venue on Florida’s East Coast has one of the most unique ceremony locations we’ve seen and is ideal for couples who desire a more glamorous beach wedding. 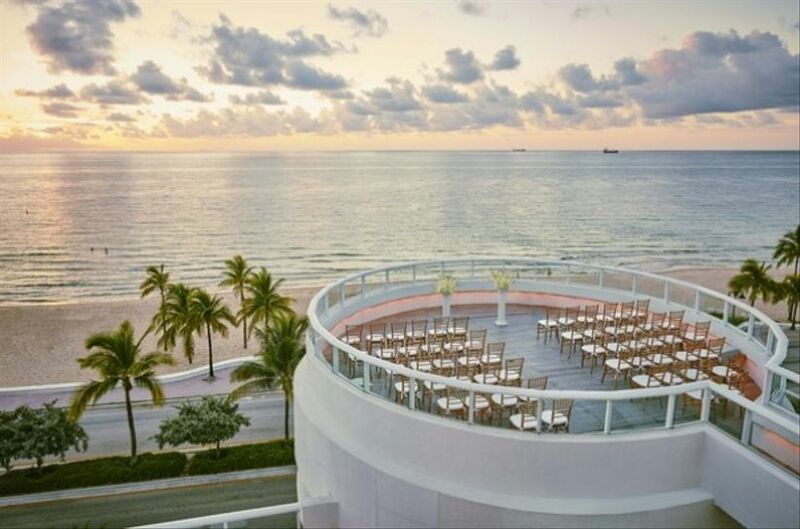 The circular Sunrise Terrace offers views of the beach and ocean and a contemporary feel—we love the idea of a ceremony “in the round”. Receptions can be held in the Del Sol ballroom or on the outdoor BalQony. This venue can accommodate up to 200 guests and has plenty of guest rooms for your posse to stay on-site. Dreaming of a beach wedding venue that oozes Southern charm? 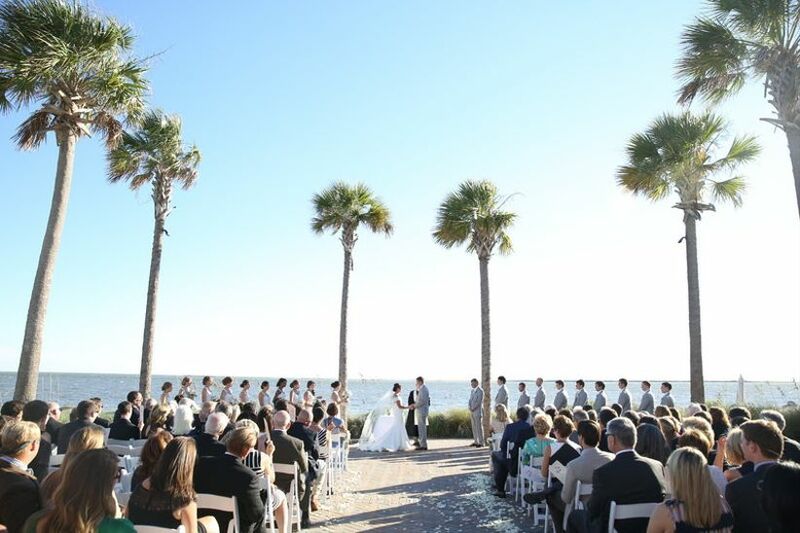 This Lowcountry venue features breathtaking natural beauty, exemplified in the gorgeous ceremony site, surrounded by palm trees and with ocean views. There are several indoor options for receptions, as well. Couples rave about this Couples’ Choice Award-winning venue, particularly the helpful staff and delicious food. 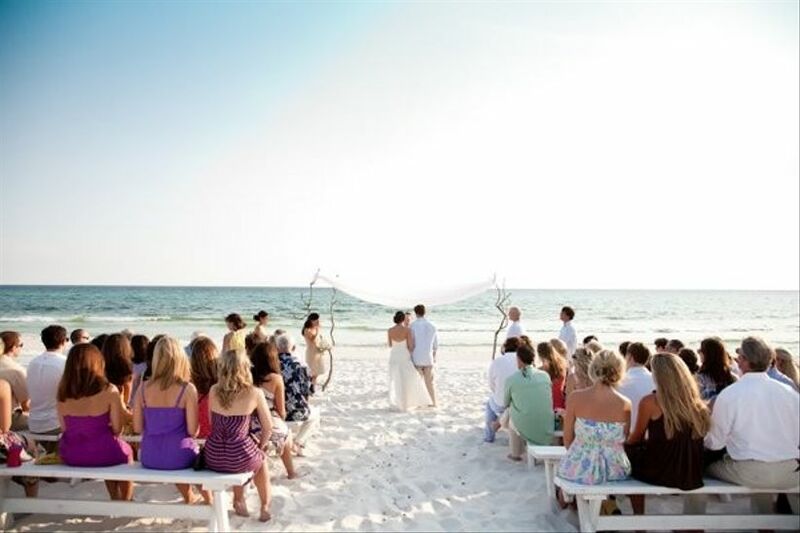 Located on the Gulf of Mexico, this resort specializes in customizable beach wedding packages. You can host your wedding ceremony on the secluded white-sand beach or in the lush tropical garden, and your reception outdoors or in. Casa Ybel can accommodate up to 200 guests, and is an ideal place for your loved ones to stay, as well. Montauk is known as a laid-back beach town, and this restaurant totally reflects that vibe. 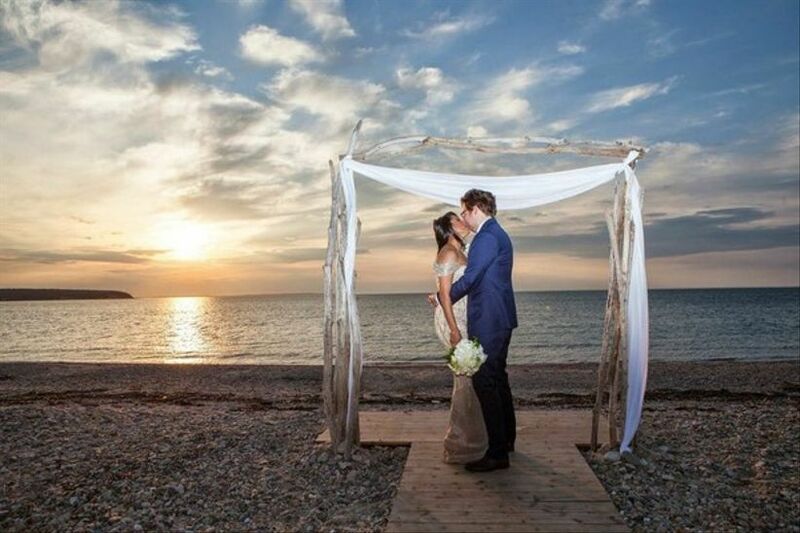 Located on a 200-foot private beach, ideal for ceremonies, Navy Beach also offers indoor or tented reception space. Your guests will love the casual seafood, and your photographer will love the gorgeous scenery and sunset views. 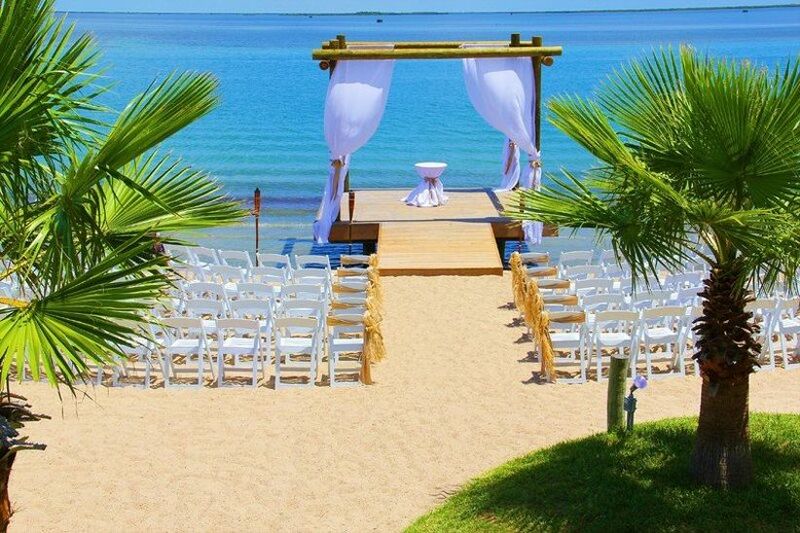 This beach wedding venue is located just 25 minutes outside of Corpus Christi, but feels like worlds away. 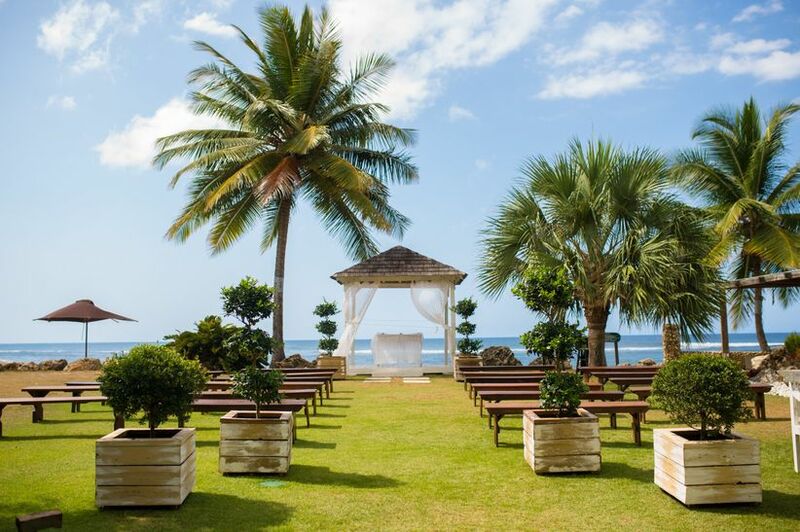 We love the tropical vibe of this coastal mansion, which can accommodate up to 250 guests for a wedding. Say “I do” on the private beach with the sand between your toes and the waves crashing behind you, and then celebrate with your loved ones on the outdoor deck with string lights twinkling overhead. Mansion by the Sea has won the Couples’ Choice Award for five years, and offers an on-staff wedding planner, DJ, décor, and more with their packages. This gated community near Panama City Beach features a mile of private beachfront on the Gulf of Mexico, and offers 13 (yes, 13!) different venues to fit any couple’s style. Of course, there’s the beach itself, ideal for relaxed ceremonies, as well as a light-filled lakefront Meeting House chapel if you’re looking for a more traditional space. Receptions can be held in the Meeting House, as well, or tented on the Village Green or Bellview Park Green. There are also several venues downtown, including the Downtown Lofts and the Carillon Pier, among others. If you’re dreaming of an island destination wedding, head to Jamaica and this all-inclusive resort. 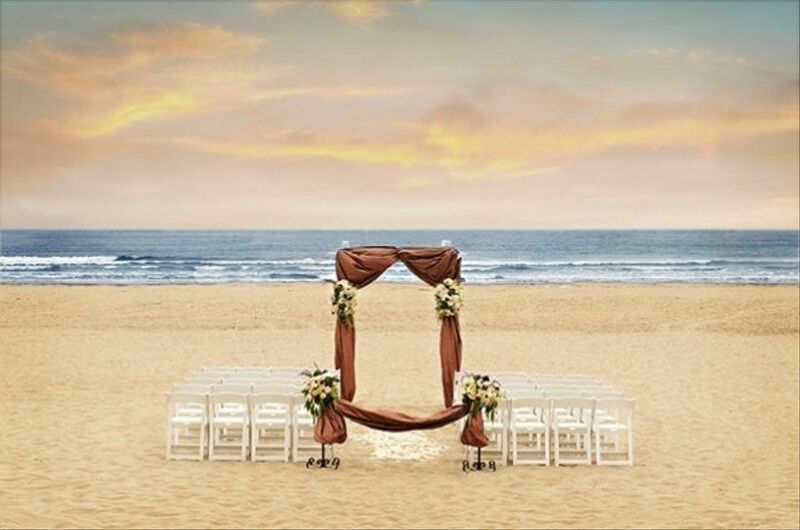 With so many beach wedding packages to choose from, you can easily plan a wedding to fit your style and budget. And whether you’re looking to wed on the beach or in a garden, there are lots of venues to choose from. There’s something so chic about a Cape Cod beach wedding, and this is one of the most beloved venues. 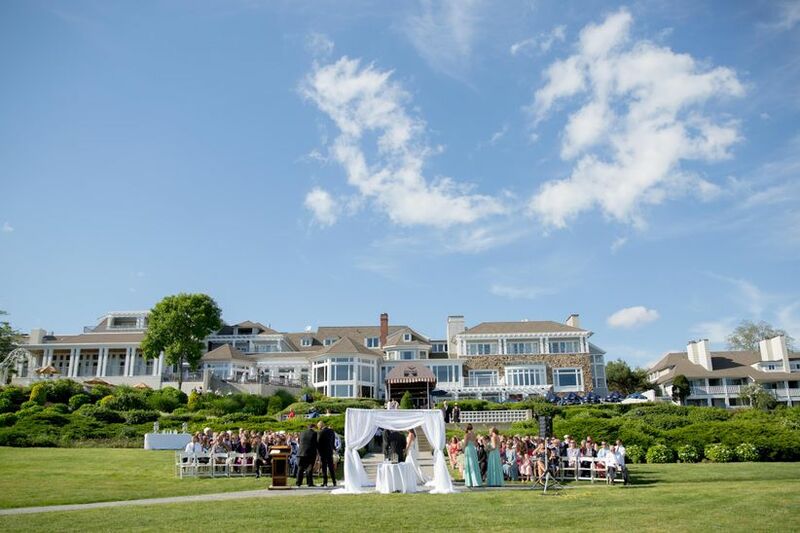 Located in North Falmouth, you can host your ceremony on the beach and your reception in one of the well-appointed ballrooms. 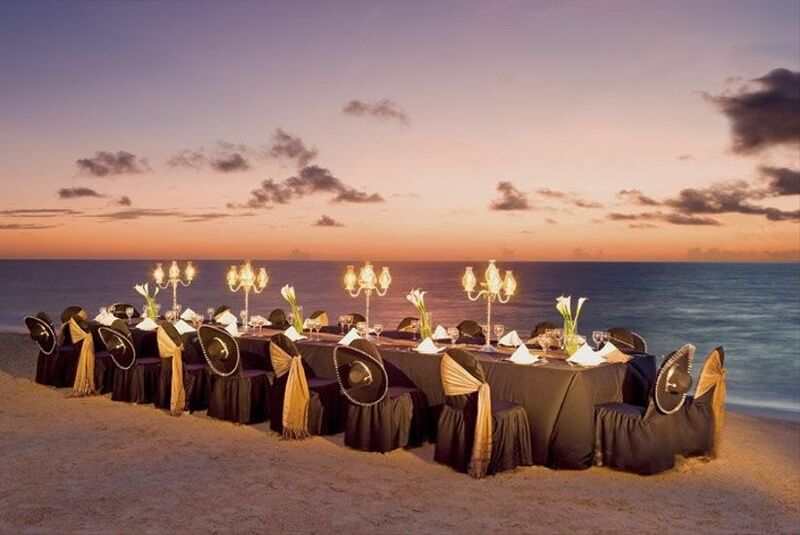 This all-inclusive venue is known for delicious food, and can accommodate over 500 guests, if you’re planning a larger beach wedding. 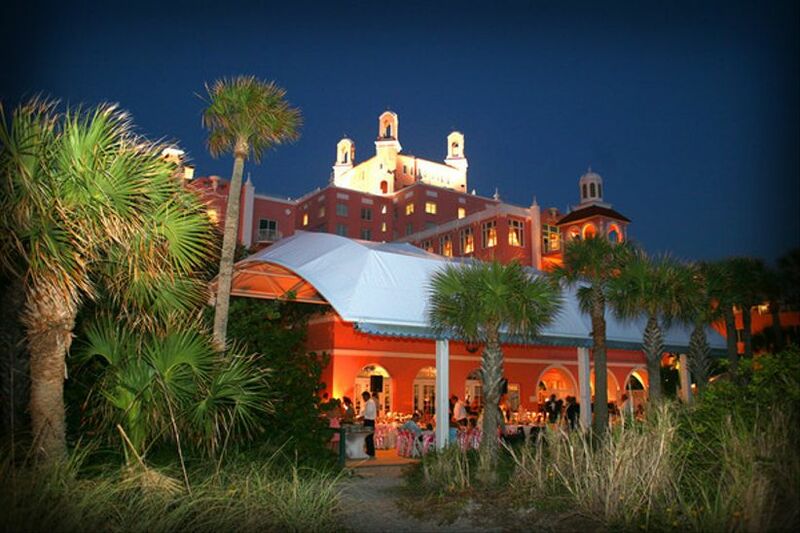 If you’re looking for a venue that combines a relaxed beach feel with a vintage vibe, look no further than the Don CeSar (otherwise known as “The Pink Palace”) in St. Pete Beach. 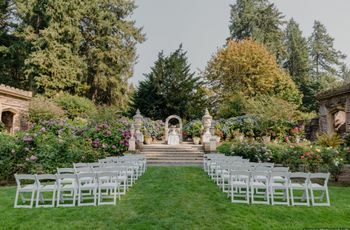 This Couple’s Choice Award-winning, all-inclusive venue has a variety of wedding packages, as well as unique locations for your ceremony and reception. Say your vows right on the beach or in the romantic courtyard, and then host your reception in one of several ballrooms, including the light-filled King Charles Ballroom and the majestic Grand Ballroom. There’s also a covered pavilion with views of the water. The Loews Don CeSar can host up to 250 guests for your big day. Malibu is known for its dreamy beaches, and this restaurant is among the most beloved beach wedding venues in the area. The restaurant has that relaxed beach bungalow feel, and can host ceremonies right in the sand (the sunsets are particularly amazing!). The event room is bright and airy, and can accommodate up to 120 guests for a seated dinner with a dance floor. The all-inclusive package includes a beach permit (one less worry there! ), as well as rentals, food, and more. A multi-year Couples’ Choice Award winner, this Victorian beachfront resort is known for hosting luxurious weddings. It’s a fun-filled place for your guests to stay (hello, amazing pool!) and a gorgeous place to host your special day. Whether you desire to say your “I dos” on the beach or the Grand Lawn, Congress Hall has got your covered. Receptions are held in the Grand Ballroom, and you’ll love all of the photo ops around the property, from the charming porch area to the beach itself. Want your wedding to be a party from start to finish? 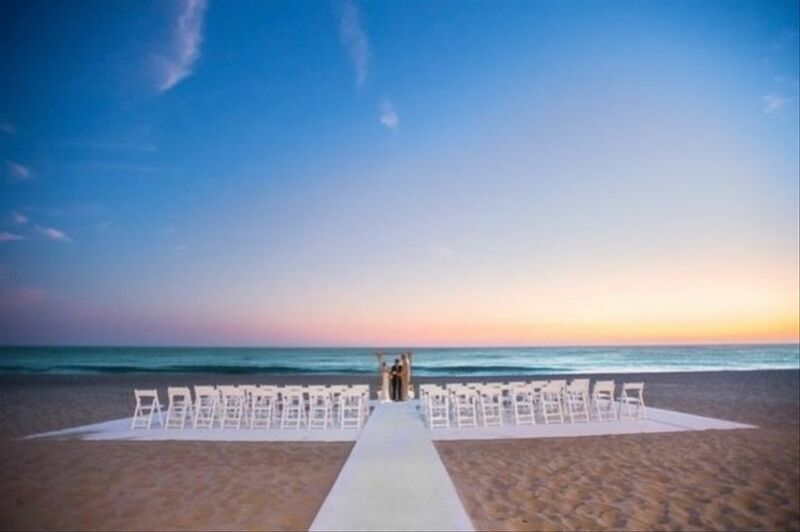 The Dreams Riviera Cancun is just the place for your beach destination wedding. With several affordable packages to choose from and with the on-site coordinator totally on top of things, you’ll be able to relax and enjoy your day without worry. There are several venues available, including the unique gazebo, the Grand Lobby staircase, the Mayan Tree garden, and the beach itself. Receptions can be held on the Pool Terrace, on the deck, inside the ballroom, among others. This venue also specializes in South Asian beach weddings. For a beach wedding with that New England preppy vibe, look no further than the Water’s Edge Resort & Spa in Southern Connecticut. This all-inclusive venue wins raves from couples about the accommodating staff, delicious food, and stunning wedding locations, from the scenic beach to the luxe ballroom. 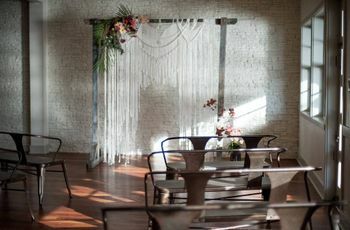 This venue also specializes in hosting pre-wedding events, like showers and rehearsal dinners.